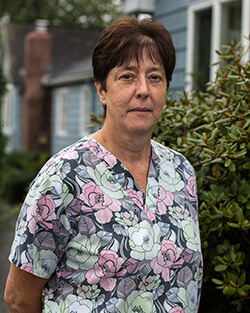 Mary Ann is originally from East Longmeadow, and she’s been a part of our practice for 20 years. Her favorite part of her job is getting to interact with the patients! She and her husband have two sons, and whenever she has free time, she enjoys reading, playing computer games, and getting together with friends. Linda has been working with us for six years now. 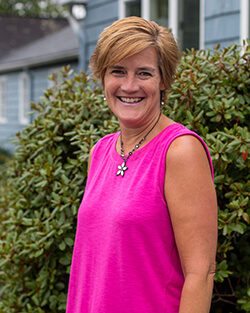 Originally from East Longmeadow, she previously attended Holyoke Community College, and she and her husband have one daughter and two sons. 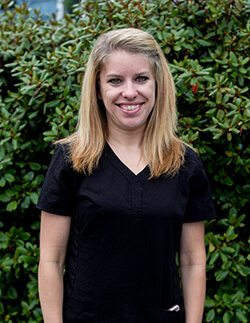 She loves being able to work with great people and interact with wonderful patients every day. Connie first joined our team 35 years ago, and there’s nothing she enjoys more than serving our valued patients. She is also a certified dental assistant and graduated from Mandl School in Hempsted, NY in 1967. Connie and her husband of 45 years, have a grown son, a daughter-in-law, and three delightful granddaughters. In her free time, she enjoys being with family and friends. 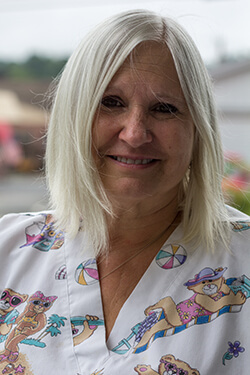 Beverly has been a member of our dental team for 11 years now. She attended Holyoke Community College before receiving her dental education at Springfield Technical Community College. She also has her Associates Degree in Environmental Science, as well as a master gardener certificate. Her favorite parts of her job are the office, her coworkers, and her patients! Beverly has four great kids and two wonderful grandchildren. Outside of work, she enjoys boating and kayaking, camping, gardening, and art. 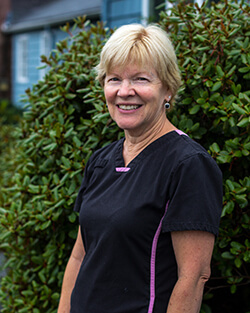 Laurie has been a member of our dental team for 24 years now, with an amazing 40 years of overall experience in the field. In the past, she attended West Virginia University, Ashford University, and Northern Virginia Community College. She is also certified in local anesthesia and is a licensed MA teacher. She loves interacting with patients! 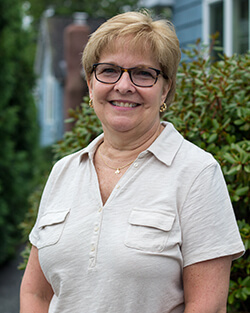 Originally from East Longmeadow, Laurie actually spent her childhood in France and can still speak French to this day. She has one daughter, two sons, and a daughter-in-law. Outside of the office, she enjoys reading, walking, cooking, and doing yoga. Lucas has been with our team for seven years and counting. 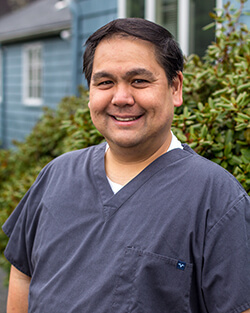 He attended Bentley University and Rensselaer Polytechnic Institute before achieving his Dental Hygiene Degree at Tunxis Community College. He is also certified in local anesthesia. His favorite part of his job is all of his coworkers and patients. Originally from East Granby, CT, Lucas’s hobbies include food and travel. His goal is to visit as many countries as he possibly can! Cathy has been working in dentistry for an incredible 40 years and counting, with 23 of them spent as a member of our team. She has her college education and has attended dental hygiene school. 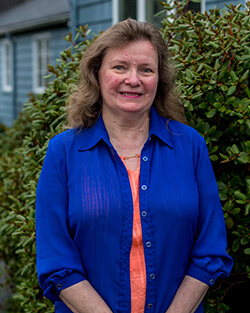 She loves her patients and the office staff and enjoys spending time with her two grown sons and one grown daughter. 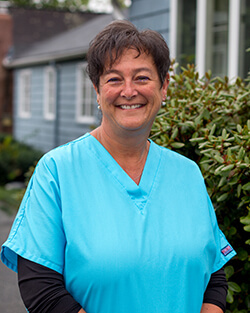 Dawn has been a member of our dental team for 33 years now. Originally from Feeding Hills, she attended Springfield Technical Community College. She loves her coworkers, and she has two wonderful daughters. Jeni first joined our practice two years ago and has six years of dental world experience overall. She attended Westfield State University and then received her dental education from Porter and Chester Institute. Her favorite part of her job is getting to know her patients through conversation! Jeni is from Wilbraham and has a nine year old son named Devon. 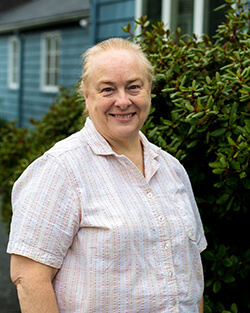 Marilyn has been working at our practice for an impressive 40 years now! She is originally from Springfield and received her dental education at Springfield Technical Community College. She also has additional training in orthodontic care and radiology. Her favorite part of her job is the wonderful staff and patients! Lynn has been part of our team for 19 great years and counting. She loves her dogs and cats!